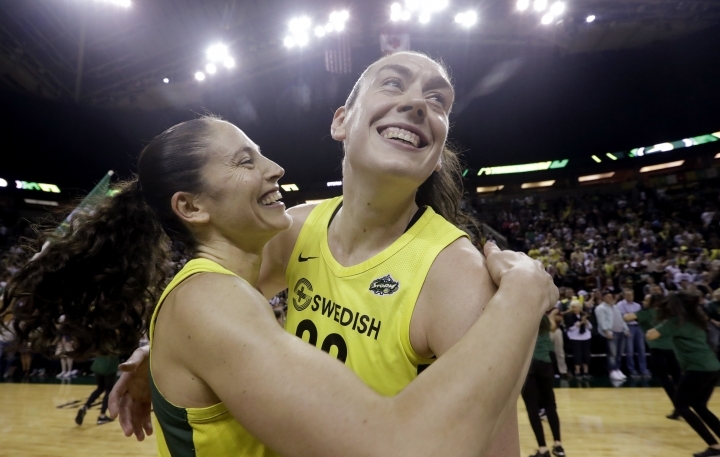 SEATTLE — Sue Bird leaned over toward Breanna Stewart and made sure the current MVP of the WNBA was paying attention to what the oldest player in the league was saying. "This is advice," Bird said. The message to Stewart was clear: At age 24, don't take for granted that she's leading the Seattle Storm to the WNBA Finals and expect it to happen all the time. "I didn't think we'd be back, to be honest," Bird said. "We started a rebuild and there was no telling when we'd get on the other side of it. It's not that my hunger for it went away or my motivation. Clearly, I wanted to stay at the top of my game and wanted to help this franchise get on the other side of this rebuild, but the Finals? That was very far from my imagination." Also not taking this trip to the Finals for granted are the Mystics. It's their first Finals appearance in franchise history. Star Elena Delle Donne went to the Finals in 2014 with Chicago, as did guard Kristi Toliver with Los Angeles in 2016. "We've been leaders of this team and have just been trying to make sure everyone is focused, staying light, having a good time and spending time together, not just on the court but off the court," Delle Donne said. STAR POWER: The matchup between Delle Donne and Stewart highlights the series. Stewart averaged 24 points in Seattle's series against Phoenix and carried the scoring load for much of Game 5 until Bird got hot late. What Delle Donne did against Atlanta may have been better. Playing with a bone bruise in her left knee suffered in Game 2, Delle Donne returned for Games 4 and 5 and while her scoring was down, her presence on the court was a boost for the Mystics. Delle Donne scored 29 and 30 points, respectively, in her two games against Seattle in the regular season, the second a blowout victory in Washington late in the season. Stewart had 25 points in each of the first two meetings but was held to 10 in the final matchup. FIRST-TIME WINNER: The Finals will feature a coach who will raise the trophy for the first time. Seattle's Dan Hughes and Washington's Mike Thibault have enjoyed incredible individual success leading teams, but neither has ever won a title. Thibault has only reached the Finals twice in his career — in 2004 and 2005 with Connecticut. In the first of those Finals trips, the Sun lost to Seattle. Hughes has reached the Finals only once in his career, in 2008 with San Antonio, where it was swept by Detroit. FRESH KICKS: Bird appears to be poking fun at herself for being the oldest player in the WNBA with shoes she had designed for Game 1 of the Finals. The shoes feature the image of Emma Webster, better known as "Granny" from the Looney Tunes cartoons. Bird tweeted on Wednesday, "Scariest Grandma I have EVER seen." Bird and Stewart have worn customized sneakers at times during the season. 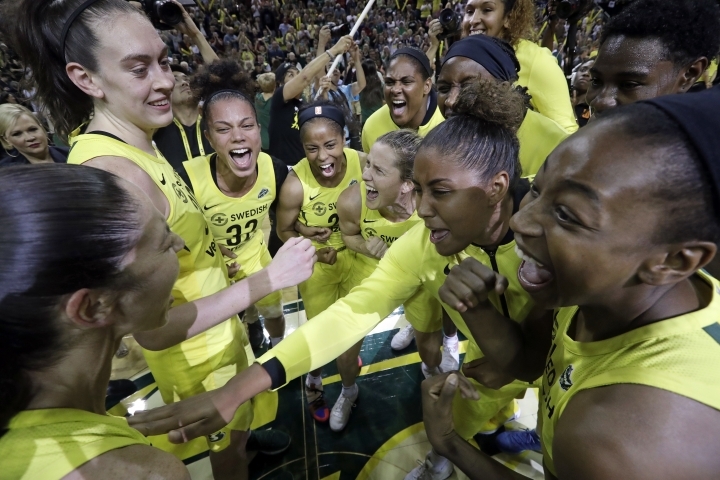 THAT 70s SHOW: While this is the first time Seattle and Washington have clashed in the WNBA Finals, it's not the first time the two cities have played for basketball championships. In consecutive years — 1978 and 1979 — the Washington Bullets and Seattle SuperSonics met in the NBA Finals. Washington won a Game 7 to win the title in 1978, while Seattle defeated the Bullets in five games to win the title a year later. Both Seattle teams were coached by Lenny Wilkens, a regular at Storm games.